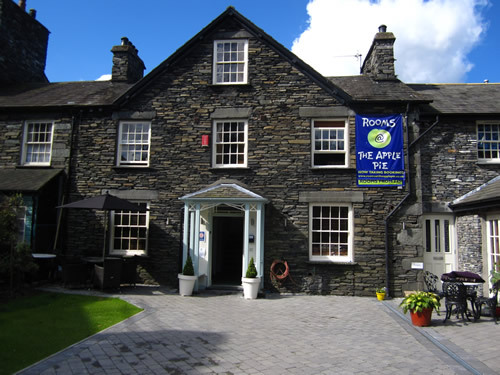 Located in Ambleside, in the heart of Lake District, we are an independent, family run, Café and Bakery. Since it’s opening in 1975 The Apple Pie has grown in size and popularity, but we still keep our traditional values at heart, serving fresh and quality products everyday to regular visitors, passing tourists and loyal locals. All of our products are made on site, with the exception of our cornish pasties, sausage rolls and pork pies, which we source from quality suppliers. Our unique, two-storey craft bakery produces all our fresh bread, cakes and pies everyday. We pride ourselves on the quality and freshness of our products, using the finest ingredients, which we try to source locally wherever possible. Our café offers plenty of seating, and is dog and walker friendly. Our breakfast menu is one of the best and most varied in Ambleside, the perfect fuel for heading up into the fells. 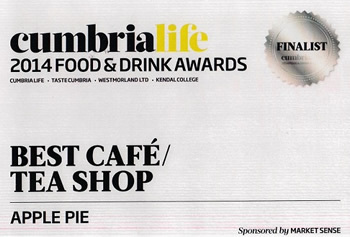 We have a lunch menu to suit all tastes, and to cater to various dietary requirements, including our award winning Cumberland Sausage Pie and a wide range of other delicious products, all made from scratch in our kitchen. Where we can, we like to make everything ourselves, from our soups and popular sandwich fillings, to our own jams and chutneys and even our own hot chocolate recipe. 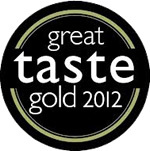 As our name suggests, we are best known for our tempting sweet treats! Perfect with our locally blended Lakeland tea, or fresh barista style coffee, we serve delicious clotted cream scones, indulgent cream cakes, and of course the best apple pie around! Go on, treat yourself! We also serve freshly made sandwiches, pies and pasties, cakes and drinks to takeaway and enjoy. With the beautiful scenery of the Lake District on our doorstep, our takeaway shop is the perfect place to pick up a picnic. Our shop and café are open seven days a week, from 9:00am to 5:00/5:30 pm. Our staff are a friendly, energetic bunch and are always happy to help in any way they can, please just ask! Sausages and black pudding from across the street at Garside’s butchers and bacon from Todds in Kendal. Milk from Town End Dairy in Windermere. Local beers from Hawkshead micro - brewery in Staveley and The Brown Horse at Winster. Locally blended Lakeland Tea and speciality teas from New Leaf Tea Tasters in Sawrey. We aim to provide our customers with the best quality products we can. We believe the fresher our products, the tastier they are. That’s why it’s so important to us that we make as much as we can from scratch and on site, to guarantee a delicious product everytime. We employ talented bakers, chefs and baristas to ensure our quality ingredients are used to the best standards. We always try to give our customers the best experience possible with every visit to The Apple Pie. As well as new faces, we also have lots of regular and loyal customers, whose opinions and custom we value greatly. We aim to provide a menu that keeps everyone happy and we feel we are unique in the wide range of choice we give our customers. We’re sure you’ll find something to your taste on our breakfast, lunch and kids menus, but if not, we are happy to try and tailor your order to suit you in any way we can. At our peak times we have a queuing system in place, in order to try and accommodate everyone. If you’re happy to wait we will try to get you seated as quickly as possible. Although we always do our very best to ensure you have a great visit, if you do have any problems, our staff are very friendly and more than happy to help in any way they can, please just ask someone! We are always interested to hear what we’re doing well or how we can improve. If you do have any feedback, please email us with any comments or suggestions. As members of the British Confectioners Association for 12 years we have attended study trips to a number of UK Bakeries but have also travelled further afield to see what they are doing in China, Italy and Austria. We are a traditional bakery at heart, still using unchanged recipes and baking many of the products that have been with The Apple Pie from the very beginning and which made it the success it is today. However, we do like to mix it up a bit and to keep our menu interesting! Our seasonal specials, such as our mince pies and hot x buns are always extremely popular and you will often find delicious new items on our specials boards, both in the café and takeaway shop. We have also had a change in uniform for our staff! Our new aprons are available to buy in the shop and come in various bright colours as well as kid sizes. We hope to create a working atmosphere that is supportive, varied and where staff can take ownership. If you have any specific dietary requirements or personalised orders, just ask your waiter and we will do our best to accommodate you. 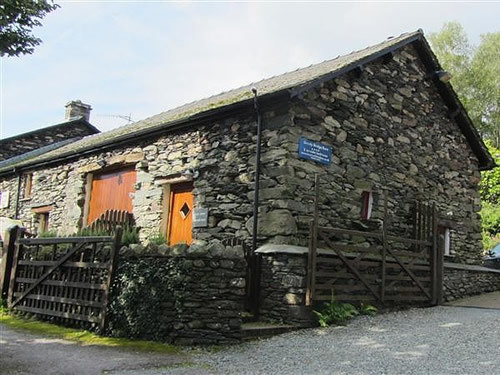 We have a choice of three self catering holiday cottages available in Grasmere.